4. Put your Phone on the top of the scanner and press the power button, and then it can scan pictures through the Phone camera by clicking the "Scan Photo". * When using the scanner, please place the positive / negative/ photo into the right holder. * When scan image please smooth the photo and adjust the holder to ensure that the picture appear in camera vision. 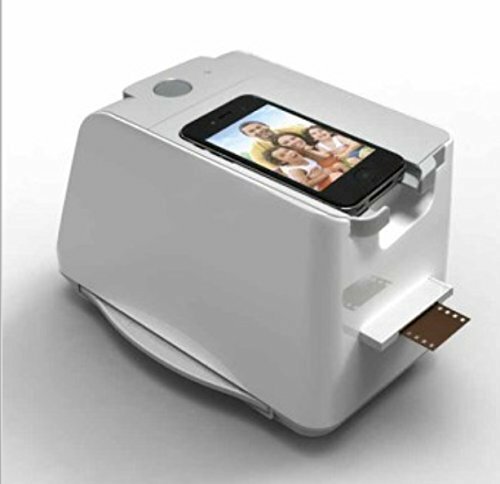 A device to help you keep all your precious images of weddings, holidays and treasured family moments for generations. Convert your photo prints, slides and negatives to digital images. Support iPhone 4/4s/5/5s, SamSung S2/S3 Smartphone.